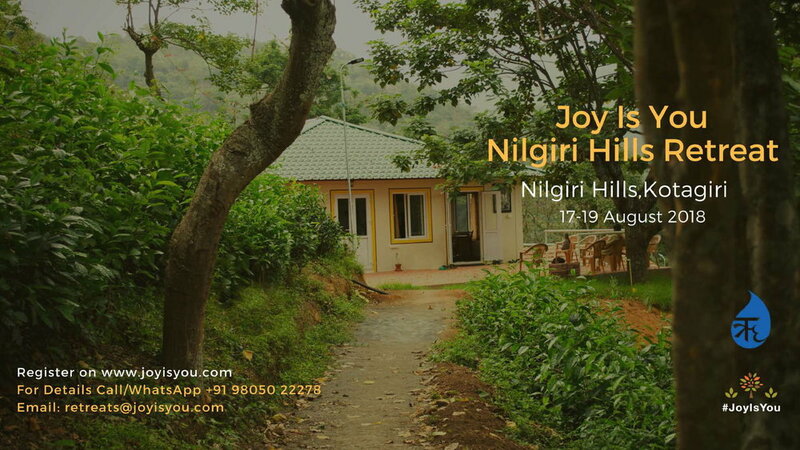 We are happy to announce #JoyIsYou's Self-Discovery Retreat in Nilgiri Hills, Tamil Nadu from 17th to 19th Aug, 2018. Gratitude for expressing your interest in JoyIsYou Retreat at Nilgiri Hills. We would soon be sending you a WhatsApp / Email and Phone Call !